Wildflower’s Balance spray is pure and clean as Nature intended. No artificial ingredients or preservatives are used only organic certified essential oils and floral water. The Wildflower essences used are hand made and wild crafted deep within the English countryside and the mineral essences are of high quality. The combination of Wild Rose, Honeysuckle, Purple and White clover wild flower essences, organic rose floral water infused with Organic Rose and Geranium Bourbon essential oil offering balance to emotions and our energy body. The mineral essence of Bluelace Agate can offer peace and calm while Clear Quartz can energetically cleanse and fortify of our energy system. 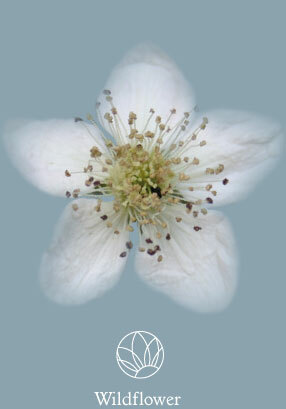 Wildflower’s Balance spray can help clear stagnate energy ether from our personal or professional space. Wildflower’s Balance spray can help lift us from anxiety and worry, reduce mood swings and harmonise our energy. Chakras are part of our bodies energy system and the combination of all the ingredients above can help 1st, 2nd, 3rd, 4th, 5th, 6th, 7th and 9th chakras. Shake well before use then ether directly around your self or your client use Wildflower’s Balance spray in all directions. For your personal or professional space use Wildflower’s Balance spray in the centre of the area you wish to balance then move in a clock wise spiral finishing at the edges of the room paying particular attention to all the corners. To help preserver your Balance spray the floral waters are distilled and micro filtered, the organic essential oils of Rose and Geranium are antibacterial providing natural protection. Try to avoid direct sun light and keep cool. Floral waters are a product of the distillation process when producing essential oils. Water is heated until it becomes steam that then vaporises the oil from the flower petals. Once cooled the steam returns to water leaving the essential oil floating on it’s surface. The essential oil is cleared from the distilled water now creating floral water. Through this process the floral water has been infused with the water-soluble elements of the flower or plant accessing more of it’s therapeutic value.